Khawar Mann, Mosaic Chairman and founding Board member, has been awarded his OBE from HRH The Prince of Wales at a ceremony at Buckingham Palace. 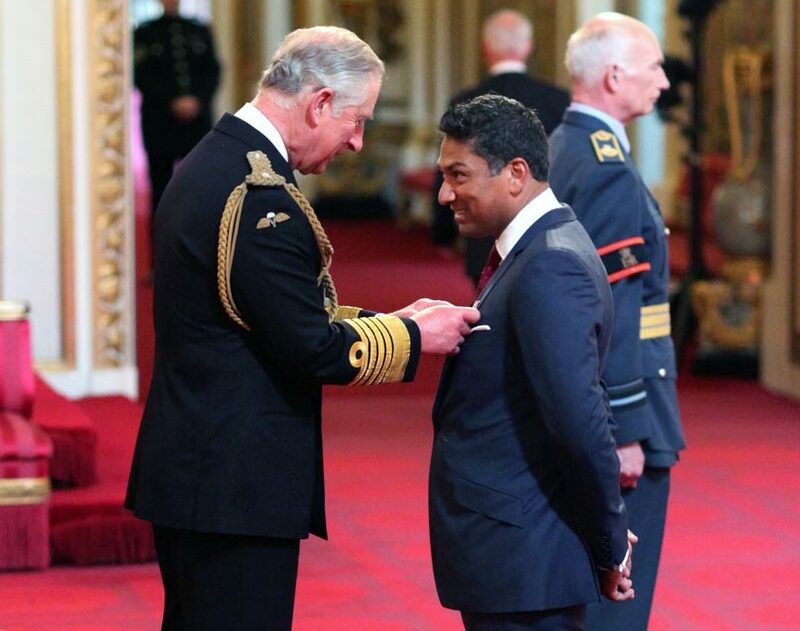 Khawar was honoured at the investiture ceremony – conducted by HRH The Prince of Wales on behalf of the Queen – after being named in the New Years Honours List for his work with Mosaic. Having grown up in inner-city Birmingham, Khawar went on to achieve outstanding business success. Under his leadership, Mosaic has gone from strength to strength. Khawar was a founding member of Mosaic. He initially set up a small mentoring scheme in north London with some business colleagues, out of which Mosaic was formed. In 2012 he was appointed by HRH The Prince of Wales as chairman, and under his leadership, the organisation has almost doubled the number of young people it supports. Khawar has also personally mentored many young people from disadvantaged backgrounds who have gone onto achieve significant personal success – demonstrating the power of mentoring to change lives. Mosaic is always looking for more volunteer mentors from the business community – find out more about becoming a Mosaic mentor.